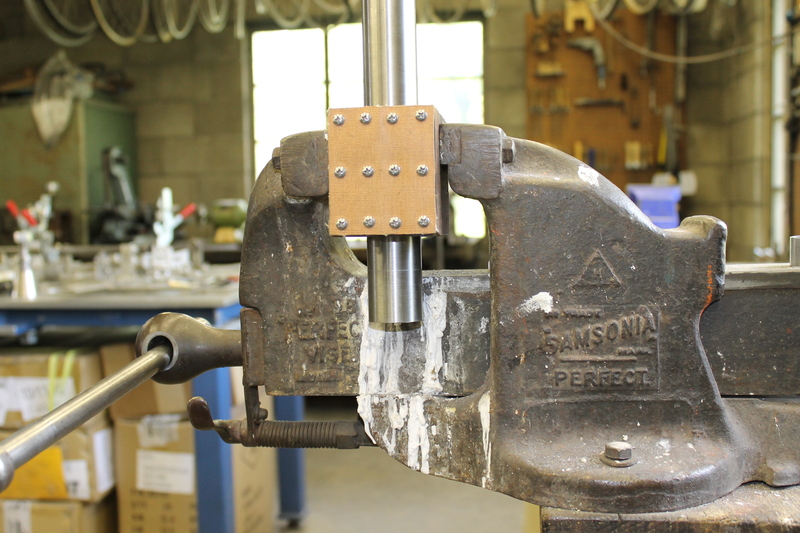 Today, after noting down all our tubing specifications, dimensions and angles, we marked and mitred our frame tubes so that they would fit snugly against the other tubes at the joins. 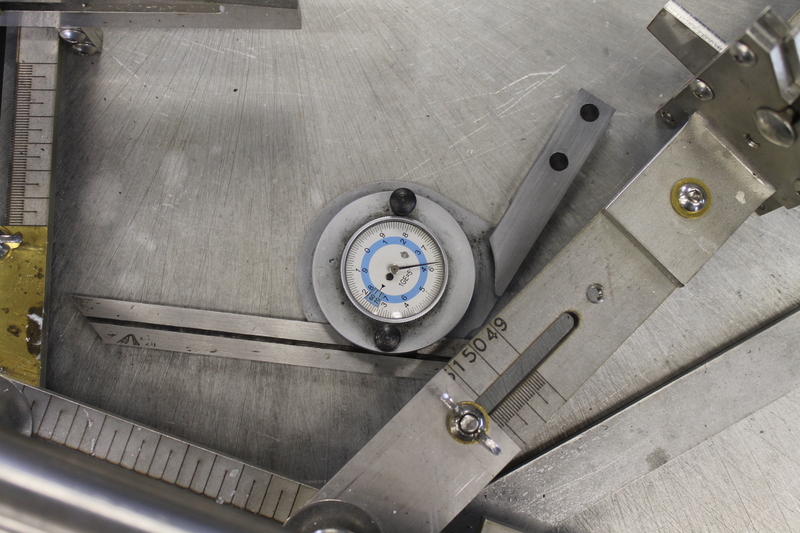 We rolled the tubes on a flat surface plate, watching to see daylight underneath, so that we could tell which side of the tube was straightest. This plane of the tube will end up vertical on our bikes, so that there is as little lateral deviation as possible. 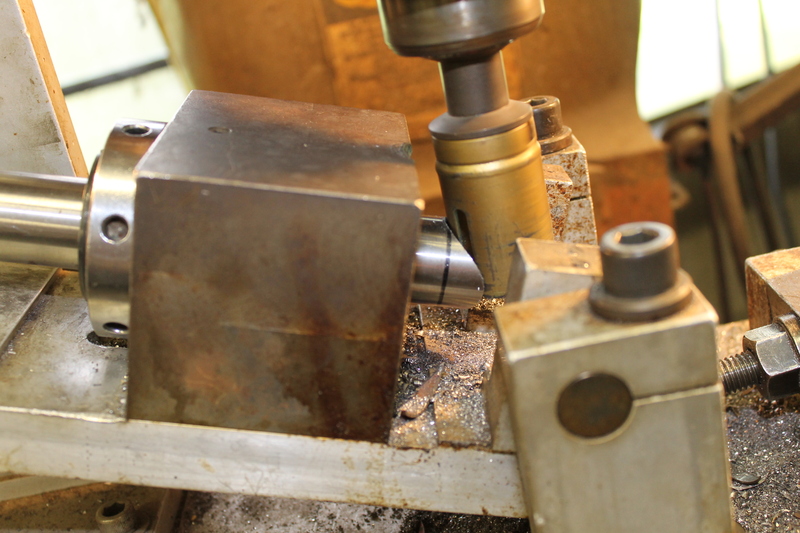 Next, we put the tube into the fixture on the Bridgeport milling machine, an American classic! 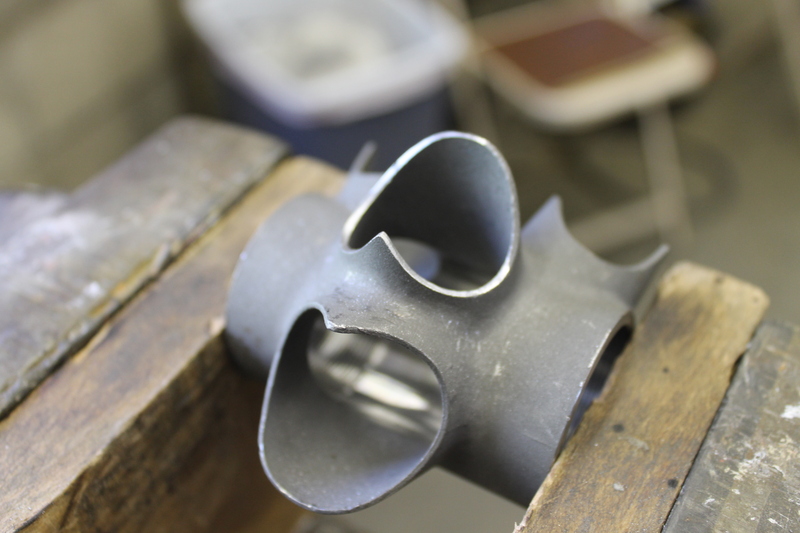 The angle is set on the mitre fixture and then we mitre the tube with a cutter the same diameter as the tube this one will join to. 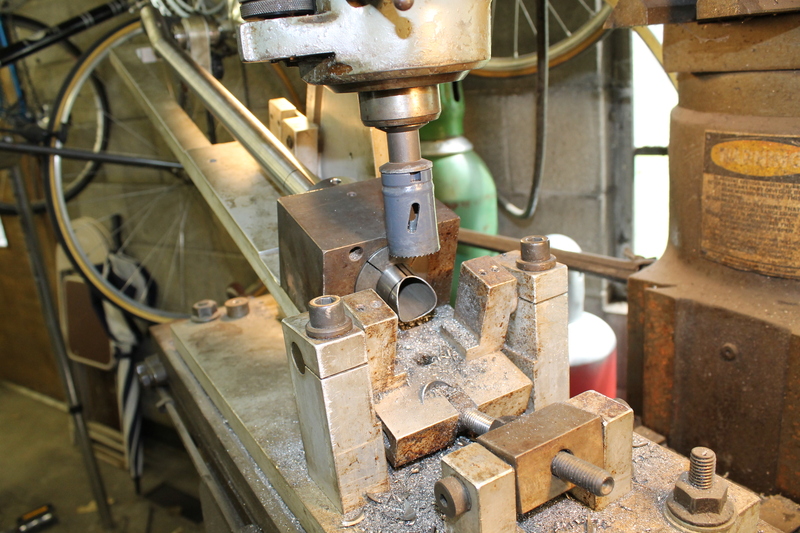 Chomping though an American "True Temper" tube with Connecticut's finest milling machine, the Bridgeport. 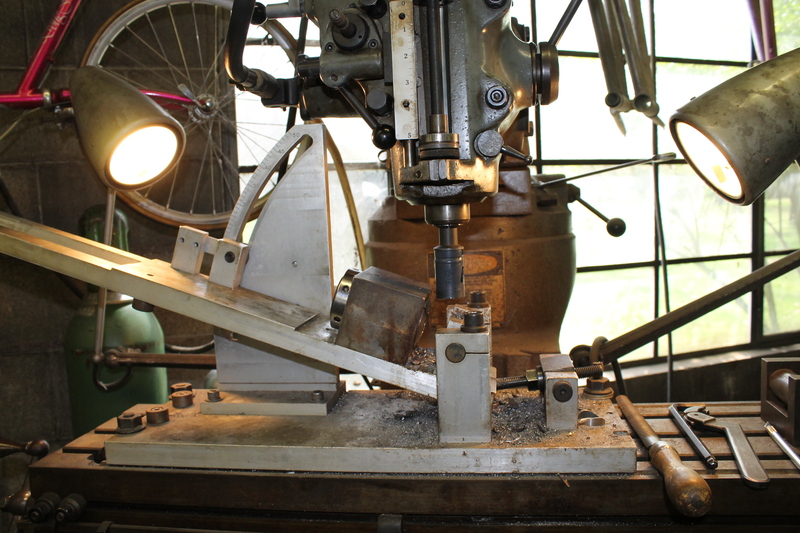 Bill and I got to know the milling machine intimately today as we would go back to take another cut to make sure it was the right angle and diameter. Using the Bridgeport with autofeed. 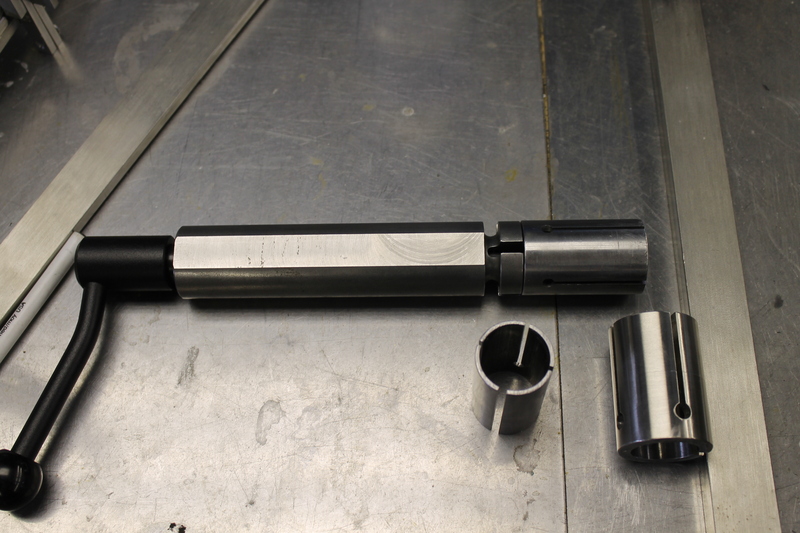 The tube is held in a collet. Remember not to walk off and let it eat through Doug's fixture.. 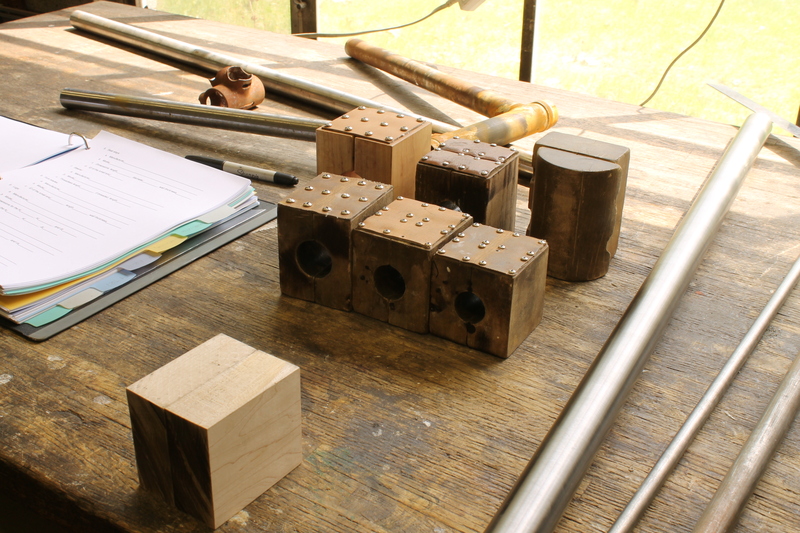 Tubing blocks for different sized tubes, made of hard maple. Cleaning up the edges and putting a point on the tip. We used a Swiss file, and Doug showed us some neat tricks. Sighting the point to check it's symmetrical. The most difficult to read instrument in America, but I kinda like it. Doug let me use his prized chainstay socket reamer, once belonging to his favourite English builder of all time, Johnny Berry. 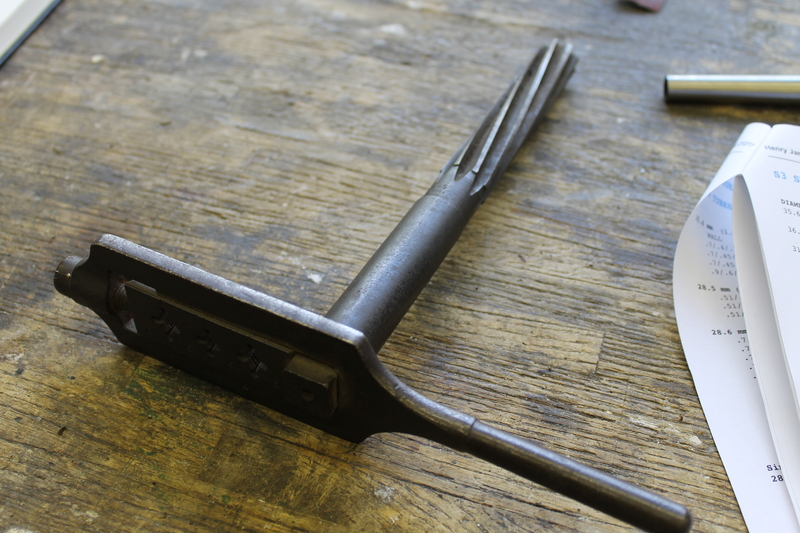 Chainstay socket reaming tool, once belonging to Johnny Berry of Manchester, England. Original "Samsonia Perfect" vice from Johnny Berry's Manchester workshop, now holding my bike's head tube and caked in flux. 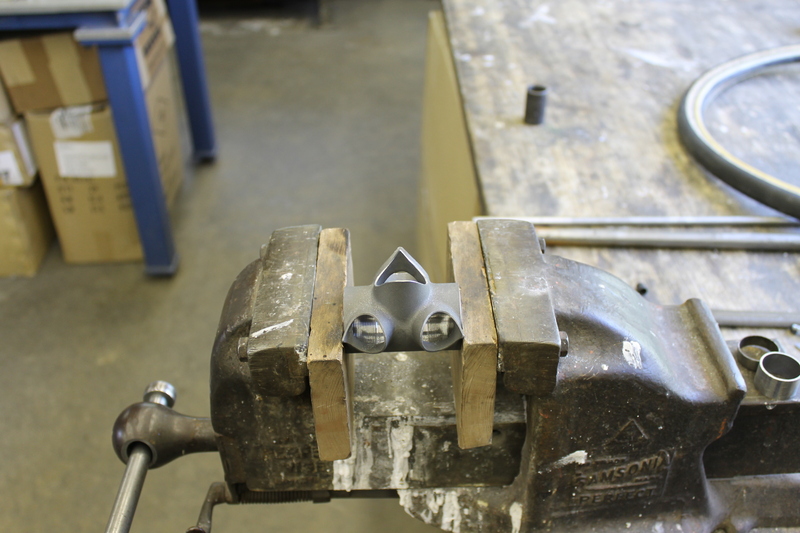 Herbie Helm's own design lug vice, for holding lugs firmly while they are filed, shaped etc. Available to buy. Hmm. Well, that’s all for today folks. Stay tuned..
May I just say what a relief to uncover somebody that really understands what they are talking about online. You certainly understand how to bring an issue to light and make it important. More and more people ought to read this and understand this side of your story. I was surprised that you’re not more popular given that you most certainly possess the gift.